In which way do the Egyptian government and the intelligence service try to sabotage your work? As a matter of fact, there is mutual infiltration between the Egyptian secret services and the Muslim Brothers secret organizations.They infiltrate each other especially in the Egyptian prisons which are mostly controlled by the Muslim Brothers from within. This is an important unknown issue, but it is not the time to explain it. I mention it to confirm that they become united against us. Mubarak needs the Muslim Brothers because they are his excuse to stay in power, and to intimidate the West and the secular trends in Egypt. Mubarak and his official Sheikhs in Al Azhar defend the Wahhabism and the Sunni religious culture of Muslim Brothers, but at the same times, Mubarak puts some of their leaders in prison, where they live comfortably unlike the rest of prisoners. Because of this, the Quranists are persecuted and severely tortured just because of their intellectual peaceful writing . This article talks about interrogating my half brother under torture , asking him about his beliefs. It confirm that the Muslim Brothers Shareeah is used by Mubarak regime in persecuting us. Brief : Mubarak regime , Al Azhar and the fanatics are working together against us in Egypt. The religious body excommunicate us, brand us as the enemies of Islam , and issuing more than 100 fatwas against our lives. The secret service and the Muslim brothers mobs who control the Egyptian streets are after our people. Many of my people usually move from place to place for safety. Do you feel in danger because of extremists? I do not fear death at all. I do not fear the terrorists. I know that they will kill me sooner or later. I accept it and welcome it. The only thing that scares me is the jail after my suffering in the Egyptian prison. I still have this Egyptian prison inside me until now. I prefer to be killed any time but not to be tortured and/ or humiliated. I live in safety in America. That is my feeling. God Bless America. - Do you think that for young Muslims in Western countries, Ahl al-Quran offers a way for reconciling the Islam with the Western culture and human rights? Yes. For sure. We established the ceneter only to save the coming generation of Muslims. Once, I wrote this : I do care not only about Islam, but also about innocent people. The Wahhabists are victimizing us ( The Arabic Quranists ) now, tomorrow they victimize the Western people in Europe and the the U.S. Inside their heart, they believe they must destroy the West (the White Western people ) and the Jews, even before the Hour (Judgement Day). It is their revenge after many centuries of the western colonization and occupation. For them ,it is the turn of their ( camp) to retaliate and to occupy and master the other (camp ) of war. According to them, they have two stages of time: 1- stage of infiltrate the other camp by their fanatic communities, keep these communities upholding their fanatic culture , having hatred towards the society they live in, and to work as a fifth column inside the camp of war. in the same time , those fanatic communities must increase their number and double it in a very short time , knowing that the Western societies are decreasing in number. So, they will be no longer minorities. By all means, this first stage is to prepare for the final stage: Stage of war. 2- In this stage of war , they will have another kind of Taliban inside the West to make it easy for the other Taliban who will invade the West. You may laugh by reading this, but it is true. This is our expertise for more than thirty years of knowledge and research in the other sacred secret side of their tradition. We understand their mentality and we are fighting them by our bare hands. We are so successfull that we suffered four waves of arrest and torture. They hate us because we expose them from within. I want you to know that German people will be the first victims along with England and France, for many reasons: the constant decreasing in population, the good relationship with Israel and they are the leaders of the West in Europe. I usually write this to many American figures and American policy makers, but my effort go in vain because of the strong Saudi influence in America. However, I am doing my peaceful Jihad for the cause, for the sake of my Lord, Allah, and I am ready to do more if I find any good response. That is why I am writing to you to think about the coming generation of your people. Yes. For us, Islam means human rights in dealing with humans in peace and respect. - Is there a divide between Zakaria Butrus and the Ahl al-Quran? How close do the Ahl al-Quran and the Egyptian Copts work together for human rights and religious freedom? We do not appreciate what Zakaria Butrus doing . He lives in peace and convenience in the West , attacking Islam as a religion, giving the fanatic the chance to persecute the poor Copts in Egypt as a revenge. Moreover, he gives them the opportunity to be the people who are defending the religion of Islam. Our work is different. We prove that the fanatic are the ardent enemy to the religion of Islam. Zakaria Butrus gives them the title of Islam and the power of its glorious name among Muslims. We care so much about our Egyptian Coptic brothers . I have defended them since 1977 until now. We forget our persecution some times because we are obssessed by the rights of the Copts. By the way , our Chairman in the international Quranic Center is American Jewish. The vice Chairman is American Coptic . - What will the Islam be like 20 years from now? The real Islam (as a human rights and democracy in dealing with people) already exists in the West. It is the same values in the real Islam and the Western civilization. It is the same Islam but in different languages . Islam in dealing with The Creator (God ) means to believe in Him alone and to worship him alone. Here it is the freedom of belief and every one is resposible for his free choice before God only in the Day of judgement. No one has the power to judge others in this field. Islam in that way is in the West. The West can help the Quranists in converting the Muslim communities in the West to accept this Islam and to be integrated in the Western socities. This will save the West from the coming disaster. If not, the fanatics will spread in the West their ugly religious culture , hijacking the name of Islam, causing millions of victims. Islam is –really – one religion, but it was abandoned and forgotten by Muslims who invented three sects, each one of them has its own religious tradition. Accordingly, we uncovered forgotten religion of Islam which has been discovered by the Quranists , and the three human made religions of the Muslims who idolize the prophet Mohammed. They deserve the title of ( Mohammadians ). The forgotten Islam is what was revealed to the prophet Mohammed in the Quran in its unique Arabic language and writing. The Quranic Arabic language has its special terminology. If you read the Quran according to its terminology you will understand Islam as the religion of peace, tolerance, justice and the unlimited freedom of speech and belief. You will discover the similarity between the American values and this forgotten Islam. This forgotten Islam was applied in the time of the prophet Mohammed, but was abandoned when the Arab Muslims established their mighty empire in the middle ages, following the steps of the Roman Empire and the late persian Empire. During their empire, Muslims invented their traditions to respond to their middle aged culture and attribute these traditions to God and/or to the prophet Mohammed, in the Sunni sect, or to the prophet Mohammed family [Aal Al Bayt] as the Shiites do, or to the sacred saints in the Sufi cult. There is a big contradiction between the Quran and this Muslim tradition, so Muslims distorted the Quranic meanings to respond to their traditions. Through the centuries, these traditions have become their real practical religion. Muslims are three main human-made religions : Sunni, Shiites and Sufi. The Sufi is more peaceful than the Shiites, while Sunni is the most fanatic Muslim cult. Inside the fanatic Sunni cult there is the Hanbali School which is the most fanatic Sunni sect. The hardest line inside this fanatic Sunni School is the current Salafi Wahaby Saudi movement which produced Ossama Ben Laden. The Saudi State is responsible for the rise of this fanatic Sunni Wahaby trend all over the Muslim World and inside the Islamic Schools and centers and Mosques in the U.S and the West. By the Saudi fund and influence, this terrorist Wahaby trend is hijacking the name of Islam and the Western values of freedom of speech and belief, threatening all the free world. The Saudi State insisted to keep this Wahaby fanatic sect in its Middle aged culture without any reform from inside Islam. Moreover, the Saudi influence persecuted the free Muslim thinkers (The Quranists) who struggle for reforming the religious Muslim life. - When did you first encounter the idea of abandoning the Sunna? In 1987. Through 1970’s I was the leader in criticizing the Sufi human religion, which is upheld by the majority of Muslims in Egypt and Muslim World. My Ph.D in Al Azhar was under the title (The effect of the Sufism in Egypt in the Mameluke era: 1250: 1517). It proves the contradiction between Islam and the human made religion along with the corruption made by the Sufi Saints in every aspect of the Egyptian life in that time. Al Azhar Grand Sheikh in that time (Abdel Haleem Mahmoud) was the famous leader of the Sufi Muslims. So, I had three years of persecution inside Al Azhar University. During (1977: 1980) they tried to force me to change my writings. I refused. By 1980, we reached a compromise: not to change but to delete and omit two thirds of my Ph,D thesis, especially in the religious parts. I got my Ph,D with honor in 1980. In 1980‘s I had begun searching the Sunni human made religion in many researches and books. Between (1985 : 1987), I have come to the conclusion that all these Hadeeths are false and have nothing to do with the Prophet Mohammed. Because of my last five books inside Al Azhar university in 1985, I was suspended from Work , prevented from promotion , and from traveling out of Egypt , and was interrogated inside Al Azhar by Shekh M.Sayed Tantawi, who was the dean of a college in upper Egypt in that time. 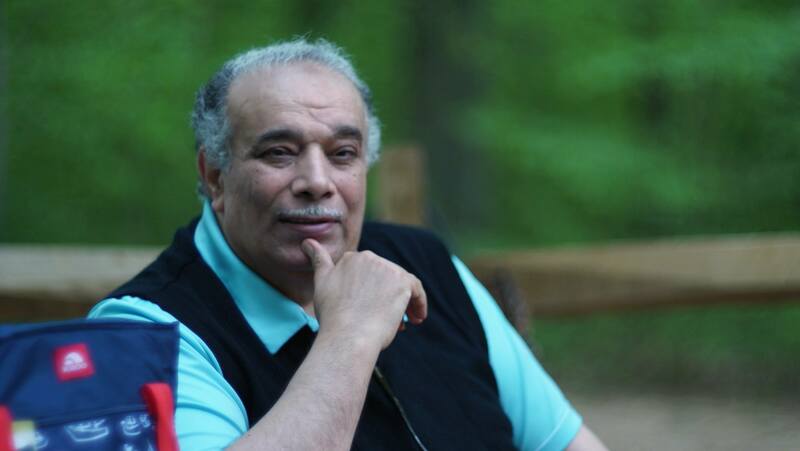 By the Saudi influence , Sheikh Tantawi was promoted to be the ( Mufti ) of Egypt , then has become the Grand Sheikh of Al Azhar and the Imam of the Sunni Muslim World , while I was fired from Al Azhar in March 1987, and thrown in prison with 60 of my early Quranist colleges in November 1987. I have my own field as a Sheikh from Al Azhar, specialized the Quran , Muslim tradition and Muslim history, beside long expertise in Arabic Language. According to my thousands of articles, fatwas, books ,and my thousands new ideas , I am unique in this Islamic field. - How did the people around you think about your convictions? - Most of them agree with me %100. - Generally, the Quranists are now about ten thousands of scholars in the Muslim world. There are different levels of the Quranic trends in the last three decades including those moderate Sunni who are trying to reform it from within using our argument. However, most of these new trends are reactions of my writings and struggle. - How did the idea for the Qur’anic Center evolve? The West has its liberation and establishing the secular state and the religious reform before Muslim World. Egypt has begun its way in liberation during the nineteenth century. There was a political reform even during the British colonization. This paved the way for the beginning of the religious reform led by Imam Mohammed Abdu, who tried to reform Al Azhar and the way of Muslim thinking in general. After his death, his apostle Rasheed Reda betrayed him, working with Abdel Aziz (Ibn Saud) , the founder of the current third Saudi State. Sheikh Rasheed Reda was the master mind behind establishing many fanatic Sunni organizations in Egypt, like Ansar Al Sunna (The partisans of Sunna ) and Al Shobban Al Muslemeen (The Muslim Youth). From the (Muslim Youth) Rasheed Reda chose his pupil Hassan Al Banna to preside the new organization named (Muslim Brotherhood). Within twenty years (1928: 1948) Muslim Brotherhood had 50 thousands branches all over Egypt, beside its international organizations and its secret military army. Through the Brotherhood, Wahhabism invaded the Muslim World and Muslim communities in the West. The Quranists studied the reform of Mohammed Abdu and revived it, then built on it and developed it by making a solid distinction between Islam (the Quran) as a religion of God and Muslims tradition , heritage , civilization and history as a human made thoughts and actions. For 25 years, I have struggled against the Saudi fanatic influence in Egypt. Coming to the U.S as a political asylee, I find the same Saudi influence in Sunni Islamic Mosques, Centers, and schools, as most of them are controlled by the fanatics who are advocating The Wahabi fanatic culture of terrorism. For example: inthe official Saudi translation of the holy Quran of [Al Fateha]- or the opening of the Quran which is recited 17 times through the daily Muslim prayers- they on purpose mistranslate the Last two verses in [Al Fateha]. It says:" Guide us to the straight path. The path of those on whom you have bestowed your blessing, not of those who earned your anger, nor of those who went astray." The official Saudi translation comments on this verses giving the Wahabbi Fanatic Sunni faith describing the Jews as those who earned the anger of God, and the Christians as those who went astray. It is only one example in this translation which has hundreds of similar examples. Translations are usually distributed in the Islamic centers and schools and mosques in the U.S. to confirm that all the Christians and Jews are infidels, and according to the Wahaby faith, they should be killed and fought. - What is the social/educational background of the Quranists? The old Quranists in Egypt are very highly educated in different backgrounds with good experience in the Quran and Muslim Sunni tradition. Internet brings to us new Quranist scholars from different countries and different cultures and different languages. We all share the same belief in the Quran alone as the only source of Islam. - Do you disapprove of all Hadithe or just of those that are contrary to the Qur’an? We refuse to attribute any saying (Hadeeth ) to the Prophet Mohammed. We believe that those (Hadiths) are just sayings which belong to who invented them some centuries after the death of Mohammed, and these hadiths reflect their culture and mentality, but they have nothing to do with the Prophet Mohammed and /or the religion of Islam. We believe that Islam has completed by the completion of the Quran according to what mentioned in the Quran ( 5: 3). We refuse to believe in any Hadeeth except the Hadeeth of Allah in the Quran. ( 7 : 185) (4 : 6 )(77: 50 ) > For more details, please read our article ( Al Isnad ). It is published in Arabic and English. - How should the Qur’an be interpreted? Is everyone capable of interpreting it? How can consensus be reached despite different interpretations? The answer is in recognizing the terminology of the Quranic Language. The old Arabic language has been developed and changed in its vocabularies and terms and code through more than 20 centuries. Until now it has thousands of differences in Muslim sects and cults. So, Quran has its unique Arabic language with its own terminology which contradicts the terminology of the different Muslim traditions. This includes the main aspects like the term of Islam, Jihad, Shareeah, Sunna etc.. Translation of the Quran usually depends on the traditional understanding of the Quran which is really misunderstanding the Quran. The first step to reform Muslim from within Islam is to understand Quran by the Quran itself, by its own terminology. It is very easy. Once you know it, you will find this similarity between the real Islam and the modern Western culture in peace, democracy, freedom , justice , human dignity and human rights. - What importance do you attribute to the ijtihad? Since 1977 until now, we have brought thousands of new ideas which were not known before in the entire Muslim history. My articles, books and researches confirm this fact. I am the first one in the Muslim history who understand the Holy Quran according to its unique terminology, clearing the contradictions between Islam and the Muslim human made religions: ( Sunna, Shiites and Sufism ), beside criticizing the sacred Muslim history and traditions , exposing the contradiction between them and the religion of Islam, without any fear. Because of my Ijtihad and my struggle and persecution, there are positive changes in Muslim mentality, even in the fanatic trends. They have to respond to our war of ideas against them. As we expose their culture proving the contradiction between it and Islam, some of them become more open minded. Actually, most of the Quranists used to be fanatics, then after reading my article they become Quranists. - In your opinion what would the Islam be like without Sunna? Islam contradicts Muslims human made religions, like Sunna, Shiites and Sofism. Sunna in particular, has tarnishing the religion of Islam by its Shareeah , , Jihad, and its religious state, as we see in the Saudi Kingdom and the Taliban state . As a matter of fact, Sunna is the ardent enemy to Islam. The question should be: What would the Muslims be like without Sunna? The answer is: Muslims will be real Muslims without Sunna. Muslims will be civilized without Sunna. - How could this form of Islam be conveyed to the common people? It is very easy. Any Muslim respects the Quran and believes in it. Quran is very simple if you want to understand it. In the same time, any Muslim believes that the Prophet Mohamed did not say a word that contradicts Quran. So, we are very successful in our work in undeceiving the ordinary Muslims. We are so successful that the Quranist have suffered three waves of arrest: in 1987 , 2000:2001, and in 2007, then lately in 2009. We are very successful but we are very poor. Our resources are very limited and most of our scholars in Muslim world are intimidated by dictator regimes and terrorist Sunni Wahhabists. Giving us help and protection, we can reform the Muslim communities in the US, Canada and the West with the minimum costs. - How many prayers do you assume as your daily duty? Since I 7 years old, I have kept the daily five prayers until now. Sunna has nothing to do with prayers. According to the Quran, all Muslim rituals belong to the old religion of Abraham. This includes prayers, charities, fasting and pilgrimage. Mohammed was a follower of Abraham. Arabs before Mohammed and during his life used to pray and fast and make pilgrimage as they inherited it from their father Abraham, but they used to mix it with believing in saints and idols, the same as Muslims are doing now. The Quran was revealed not to invent a new religion but to reform the inherited Religion of Abraham. - Which are the prospects for the success of your movement? We are fighting the war of ideas against the mighty powers of autocrats and Theocrats in the Muslim World by our bare hands. We are not just Muslim scholars and thinkers and peaceful reformers, but we are also freedom fighters and human rights advocates. In spite of our very limited resources, our ideas are changing Muslim world over the three last decades. - Where do you encounter more resistance in Egypt - from the state or from the ulama? - We are usually persecuted by the Egyptian State and the Muslim Brotherhood secret and public organizations and the Saudi influence here and there. They are usually against each other politically, but they usually become united against us. Among other reasons, Mubarak regime used to put our people in jail to please and to appease the fanatic trends inside and outside of Egypt. - Which role plays the Ibn Khaldun Center in Cairo in the work of the Ahl al-Qur’an? We have worked together, between: (1995: 2000). I was the moderator of its weekly continuous conference, which was attended by the leaders of the Quranists along with other different intellectuals. We worked together in reforming the Egyptian Education and in reforming the Egyptian elections. Because of these two projects, Ibn Khaldoun Center was shut down, and the Dr. Ebrahim was arrested, and many of my Quranist colleges were also arrested and tortured, and I escaped to the U.S as a political asylee. - What are your plans for the near future? - Reforming Muslim World and Muslim communities in the West. - Establishing real brotherhood among the followers of Islam, Christianity and Judaism. We have ideas but we do not have access, beside the Saudi influence is usually after us. It was in Egypt and it is here in the U.S. If we have a real help, we will reform the Muslim communities in the West, and terminate the terrorist danger.